Help us honour Raymond Charles Runga's service by contributing information, stories, and images so that they can be preserved for future generations. At the outbreak of the First World War the laws of the day prevented Indigenous men from enlisting in the Australian Imperial Force. However, it is believed that by the end of the war up to 1,200 Aboriginal men had enlisted to serve their country. Raymond Charles Runga, (known as "Charlie"), originally from Narracoorte, South Australia, was 23 when he enlisted at Ouyen, Victoria, on 28 February 1916. 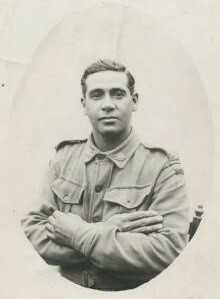 He was described on his enlistment papers as of "black (Aboriginal)" complexion, and his occupation was noted as a "labourer". He was posted to the 6th Battalion and embarked for overseas service with the 17th reinforcements, leaving Melbourne on 4 April 1916. When Private Runga joined the 6th Battalion in France the unit had already been involved in the Gallipoli campaign and, on the Western Front in a very different kind of warfare fought by huge armies over battlefields that stretched for hundreds of kilometres. In mid-1916 the battalion had been involved in the battle to take and hold the French village of Pozières, a campaign that would long be remembered as the most costly battle ever fought by Australian forces. Charlie joined his unit in the middle of the winter of 1916–17. A few months later he fell ill and spent some time in hospital before again returning to his unit. Then, on 26 October 1917, in fighting near the Belgian town of Passchendaele, Charlie was seriously wounded, receiving wounds to both of his arms and a hand. He was soon evacuated to England for medical treatment and it was another six months before he was fit enough to return to the front line in May 1918. When the left portion of his company came under exceptionally heavy machine gun fire from a wood in front, Pte Runga, taking charge of a small party, dashed to the wood and succeeded in capturing two hostile machine guns and their crew of 16 men. 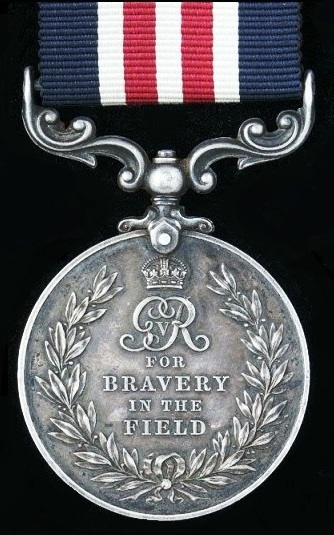 On another occasion he rushed forward alone over 70 yards of ground without cover and despite point-blank machine gun fire, succeeded in bombing the enemy from the communication trench … this latter feat was a heroic example of utter disregard for personal safety and the desire, at all costs, to worst the enemy, any of whom with one shot calmly aimed could have killed him. Just three days later, as the Allies continued to advance against the retreating enemy, Charlie was again wounded, this time in a gas attack. After initial treatment in France he was once more evacuated to a hospital in England. In November 1918 the First World War came to an end. The Australian troops were anxious to return home as soon as possible after such a long time away. However, for many there would be a long wait; there were many thousands more men than could be quickly accommodated on the available ships. Eventually, on 2 September 1919, Private Raymond Charles Runga MM stepped ashore on home soil in Melbourne. On 24 January 1920 Charlie was presented with his Military Medal at Government House, Melbourne. However, while passing his medal around to be admired it was taken, and it is unknown if he was ever issued with a replacement. After the war Charlie Runga lived and worked in various parts of rural New South Wales. He married Emily Glass, a Wiradjuri woman, and later died in Leeton, New South Wales, on 21 March 1956, at the age of 66. Trove digitised Newspaper Article - RECRUITS.